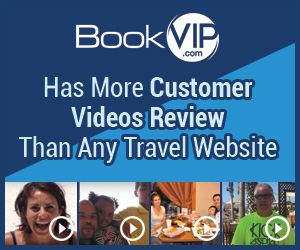 Next review BookVIP is real! Thanks to Bookvip, we saved at least $2000 on this trip. The hotel consists of various buildings, all beautifully done; the architecture is really enchanting. Our Jr.
Suite overlooking the ocean and pool/palm tree area (beautifully done! - 4 pools,1 with swim-up bar) was wonderful; so was the entire staff. Everybody always had a great smile and was willing to help or chat. All of the various restaurants served not only delicious food but the presentation and the waiters were excellent. Each evening there was a Broadway-like show outdoors with a view of the marina, the Sea of Cortez, the town and the mountains. The marina is across the road; town is a 10-minute walk - so is the SWIMMABLE beach, Cannery Beach, which is off to the right when one exits the property. The hotel itself is situated on the Pacific side with lots of undertow; swimming is not advised. For the young, there is also a nightclub..
plenty of bars outdoors and indoors. - We are planning to visit again! Product or Service Mentioned: Bookvip Cabo San Lucas Vacation Package. Review #1366087 is a subjective opinion of testimonial.